ISO 45001, the long-awaited new international standard for occupational safety and health, is set to be published in March, it has been announced. The complex development process – the first draft was published in July 2014 – has involved a series of meetings, numerous iterations and hundreds of hours of deliberations among an international group of safety and health experts. These include Richard Jones, Head of Policy and Public Affairs at the Institution of Occupational Safety and Health (IOSH). He said: “It is great news that ISO 45001 has gained approval, with an overwhelming 93 per cent voting in favour of publication. IOSH understands from the ISO Secretariat that it could now be published as early as 8 March. “We were also pleased to receive sincere thanks over the weekend from both the Chair and Secretary of the ISO PC 283 committee [responsible for developing the new standard] for the part that IOSH has played in this achievement. The standard follows the generic management system structure used for ISO 14001 and ISO 9001. It was based initially on OHSAS 18001, but also takes account of other influential documents, such as the International Labour Organization's ILO-OSH Guidelines and various national occupational safety and health management system standards. It will be the first global standard of its kind, says the International Organization for Standardization (ISO), giving organisations ‘a universally accepted framework for improving employee health and safety, reducing workplace risks and creating healthier, safer working conditions’. David Smith, Chair of ISO PC 283, said alignment of ISO 45001 to the suite of ISO management system standards would come as a welcome addition. He said: “We now have an international standard for occupational health and safety, aligned with other business standards such as ISO 9001, ISO 14001 and ISO/IEC 27001, that helps organisations manage this key risk as part of their business processes. 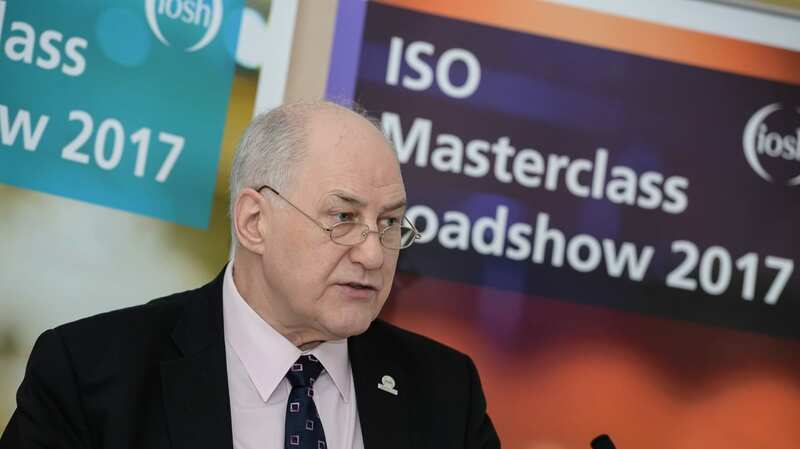 IOSH, a liaison body for the standard’s development, held a series of events in 2017 to help businesses and safety and health professionals get to grips with ISO 45001. Ahead of the standard’s publication, IOSH will provide guidance to members that will help them make decisions on whether to adopt ISO 45001 and, if so, how to go about it.